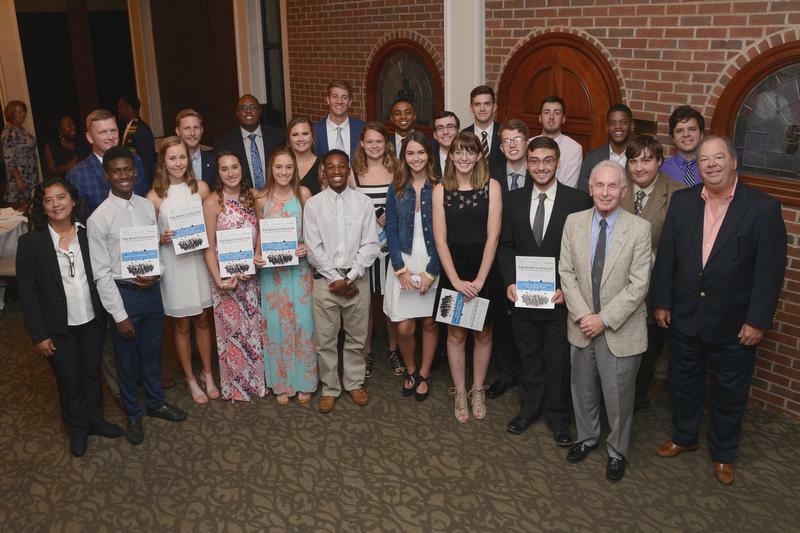 To acknowledge participants from The First Tee of Tennessee with college scholarships for their accomplishments in the classroom, on the course, and with the game’s life-enhancing core values. 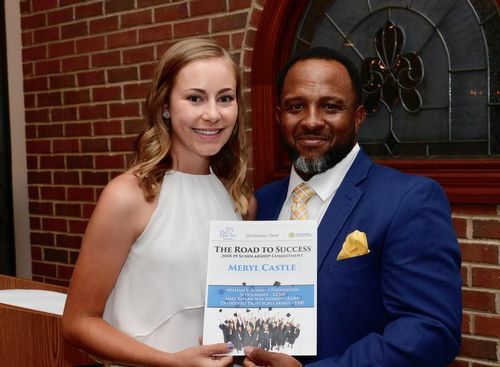 The Seventh Annual Road to Success Dinner was held at the Brentwood Country Club on July 19 to honor and reward The First Tee of Tennessee's Ace Level participants. These students exemplify the nine core values of The First Tee while being active in the community through volunteerism and working towards a college degree. Executive director, Thelma Ewell, and incoming executive director, Joshua McDade, presented the students with the awards and congratulated the 26 scholarship recipients. There were also Ace Level alumni in attendance who have graduated from college serving to inspire the students in attendance. Two The First Tee of Tennessee alumni, Kyle Harris and Hannah Sudbury, gave their advice to their peers highlighting on how The First Tee’s nine core values prepared them for their college experience. Kyle is a recent graduate of Fisk University and Hannah is a sophomore at Middle Tennessee State University (MTSU). 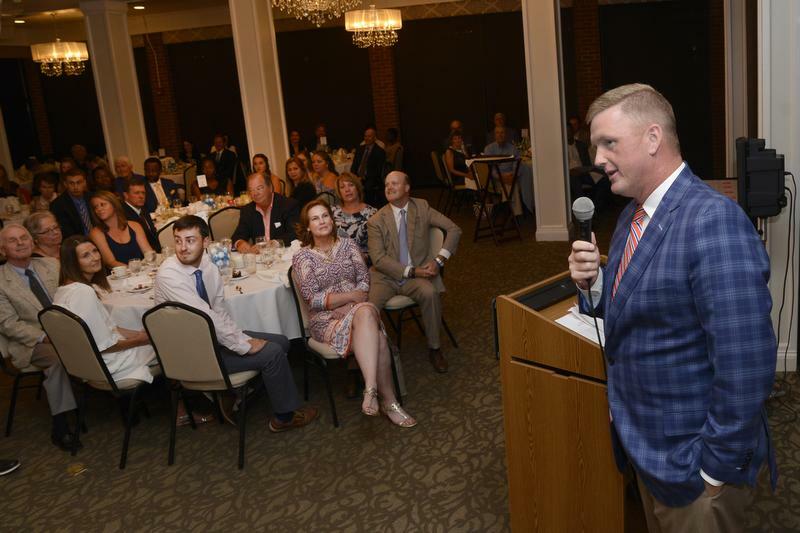 To cap off the night, incoming Tennessee Golf Foundation president, Whit Turnbow (in photo below), gave some words of wisdom to the students encouraging them to take a competitive and hardworking attitude into all aspects of their lives. Whit was a student-athlete at MTSU and later became men's golf coach then associate athletic director at the school. In memory or Michel (Mike) Kaplan, Tennessee Golf Hall of Fame member, the TGF’s long-time legal counsel and Tennessee Golf Association board member and president. Mike believed that a strong education was a key to success in life. His wife Rita, law partner Tom Sherrard, and Mike's family and friends have helped contribute to create the Mike Kaplan Scholarship Fund after his passing in 2017 to help our Ace level students reach their goals or attending and graduating college. Scott & Tracie Hamilton established their scholarship fund for The First Tee of Tennessee after hearing a moving speech by The First Tee of Tennessee participant Joseph Brown at the 2011 Vinny Tournament. Scott and Tracie created an endowment to keep the economics of college from being a stumbling block to a higher education for a participant. 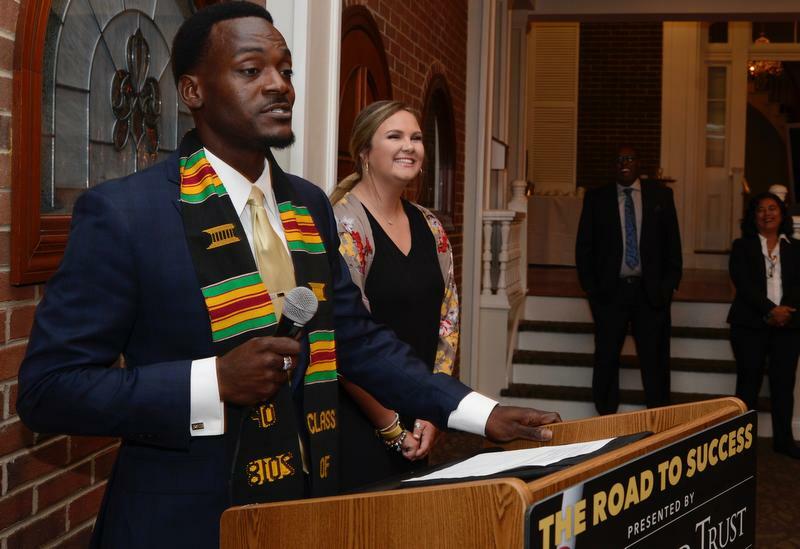 Joseph Brown later became the recipient of the Hamilton’s scholarship and graduated from Nashville's Fisk University in 2017. Started in 2014, this scholarship is provided by our Road to Success Dinner sponsor, Diversified Trust. As a part of their sponsorship, Diversified Trust wanted to make sure that a portion of their fee went to support the young people the dinner is honoring. A good education plays a key role in The Road to Success and Diversified Trust congratulates all of the scholarship recipients tonight and those from previous years. Jere Ervin and his family have been longtime supporters of the Tennessee Golf Foundation. Jere has made a significant commitment to The First Tee of Tennessee by funding college scholarships for multiple college bound participants. Besides scholarship contributions that will be made in the Ervin family name, the Ervin family has created the two named scholarships below that were awarded at the dinner. In the honor and memory of Marty Graham, Jr. longtime friend of the Ervin family. The Grahams and Ervins are long time members of Old Hickory Country Club. Marty was an outstanding amateur player and won numerous championships throughout his lifetime. In the honor and memory of Tom Smothers, an avid golfer who loved the game and was active as a volunteer with the Tennessee Golf Association. The Ervin and Smothers families are related by marriage with Grant Smothers marrying Suzanne Ervin. This scholarship is funded through the Ervins and the Don & Julie Smothers. Diversified Trust is an employee-owned comprehensive wealth management firm based in the Southeast with over $5 billion of client assets under management. Their clients include individuals, multi-generational families, family offices, foundations, endowments and retirement plans.